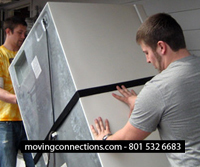 How To Move A Refrigerator: Remove or dispose of perishables. Clean the interior of the refrigerator and freezer and allow it to dry out before the move, as a moist interior can generate mildew and mold. Pack all removable parts, including shelves, bins, or miscellaneous containers and in a separate moving box and label accordingly. Vacuum the condenser or compressor, and if your power cord is detachable, be sure to disconnect it and pack it with the other parts. How To Move A Stove: Clean thoroughly. Detach all removable racks and pack safely in a box, clearly marked with the contents. Vacuum the rear and underside of the stove, as this is not generally an operation that occurs frequently, and you may be surprised at what you find back there. 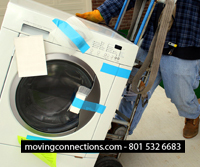 How To Move A Washing Machine: Clean and dry thoroughly. Disconnect and drain hoses. 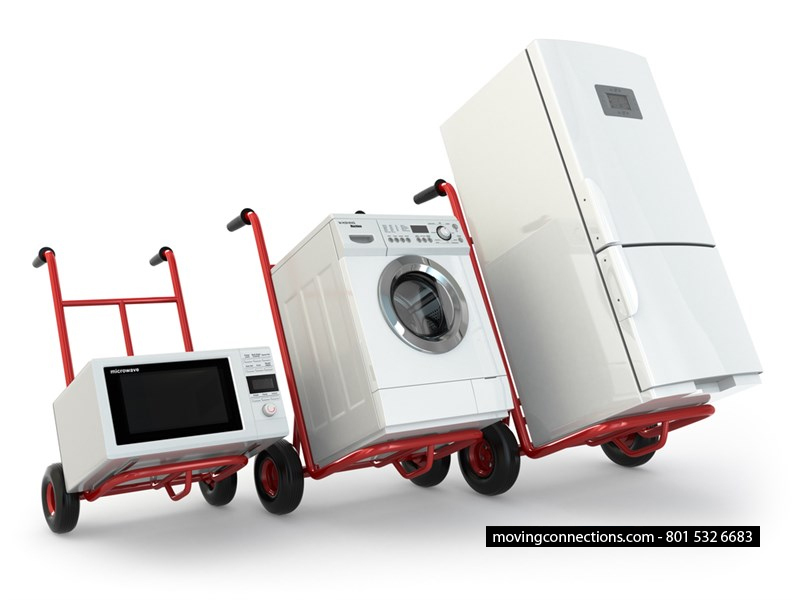 Wrap connectors and hoses together and place them in a box or container, which can then be placed inside the washer for easy transport. Many washers have provisions for securing the spin tub to prevent wobbling, and your owner’s manual will provide the necessary details. 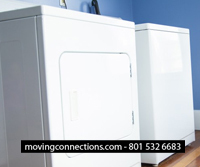 How To Move A Dryer: Before cleaning, unplug or turn off the dryer from electrical power. Clean the lint screen and the exhaust vents on the rear of the dryer. As with any appliance, pack any components you remove in a clearly labeled box. How To Move A Dishwasher: Clean and dry thoroughly. Disconnect and drain hoses. Leave the door open for a few days prior to the move. Wrap dry hoses in towels and packing material and place inside the dishwasher.